This new Intrepid adds a cuddy cabin to the 327 line-up. The 327 cuddy shares its stepped hull with the 327 Open. This Florida-based manufacturer listened keenly to feedback from its loyal cadre of owners when developing the 327, not only because that’s the way this builder does business, but also because there was a lot at stake. 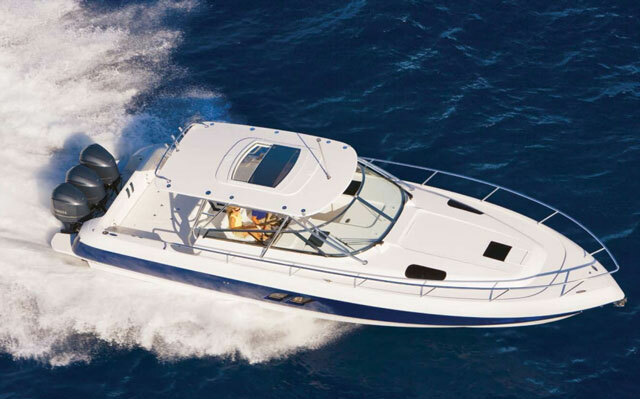 This offshore-ready rig with overnight accommodations replaces the 323 Cuddy, one of the most popular cabin designs to come out of the Intrepid Powerboats factory. The replacement model would have to be better than the first, so the builder tooled up something special, including the next generation of the vaunted Intrepid stepped hull. This new running bottom is designed specifically for the larger four-stroke motors on the market. It can handle the extra weight and ponies and deliver the same stellar handling that Intrepids are known for. 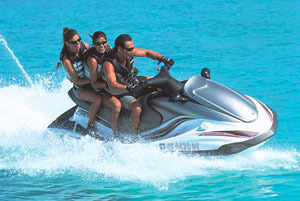 As for speed, the 327 will run close to 60 mph with a pair of Mercury 300-hp Verados, and deliver nearly 1.5 miles to the gallon at any speed between 16 and 48 mph. 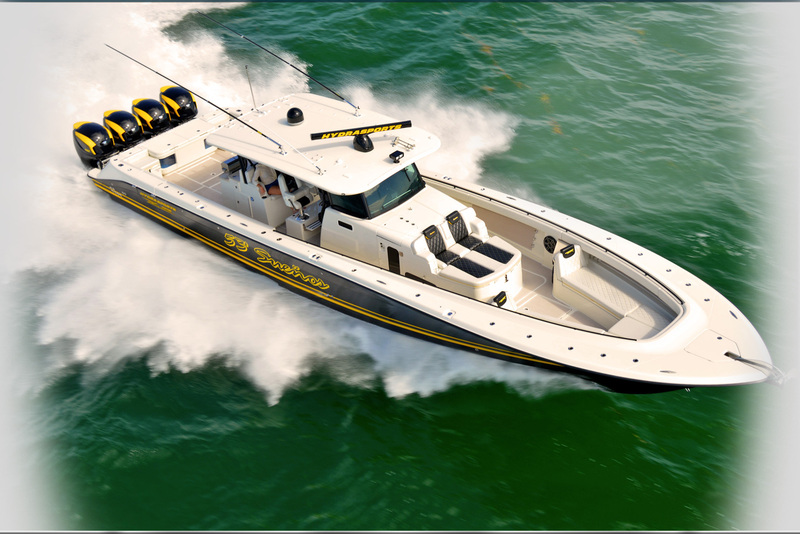 The typical operator of this premium-quality machine is an active boater whose offshore agenda includes fishing, diving and cruising. But unlike the owner of Intrepid’s 327 Open, which is based on the same hull, the skipper of a 327 needs more in the way of creature comforts and stowage: namely, a cabin. “Customers tell us they tend to use the cabin like a closet, so we decided to organize that closet for them,” said Clinton. The cuddy cabin in the Intrepid 327 is a step up from the 323 cuddy it replaces. The 327’s cuddy is a notch above the cabin on the 323. Not only is it tidy with its easy-to-maintain fiberglass headliner, there are new flush-mount cabinets overhead, and they’re well done with frameless doors and positive-locking latches. There are plush lounges too, which convert to a berth with a clever filler—when not in use, the filler sits on the sole between the bases of the settees where it takes up no stowage space. That’s just one way Intrepid carved out more usable room for stowage as well as cruising features like the galley counter, drawer-style fridge, and hanging locker. The big space saver, though, is the absence of a commode. Intrepid relocated it from the cabin to the helm console, where an electric sliding hatch provides access to a space with good headroom and a skylight. 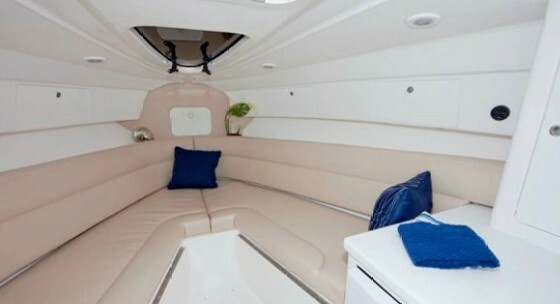 Perhaps the best advantage of this arrangement is that it enables the 327 to offer guests more privacy than other cuddy boats, even some twice its size. The 327 has other improvements, too. In the bow, for instance, bases for the facing lounges are wider so the seats are more comfortable and offer more stowage within. In the cockpit, there’s a seaworthy dive door in the hull side. While the older version of the door opened out, this one swings in to lie flat against the gunwale, and it has a slick new hydraulic ladder that’s as robust as they come. 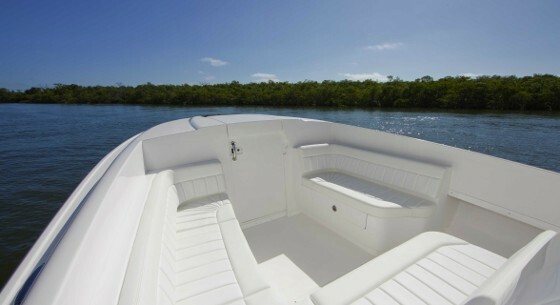 In the cockpit, there are bigger fish boxes, larger hatches for the lazarette and live well, plus a new hatch that provides access the optional freshwater flush fitting—that’s good news for the person who’s tired of climbing over the transom to reach the fitting. 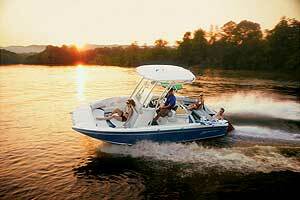 In the bow, enhancements include enlarged, more comfortable seating. 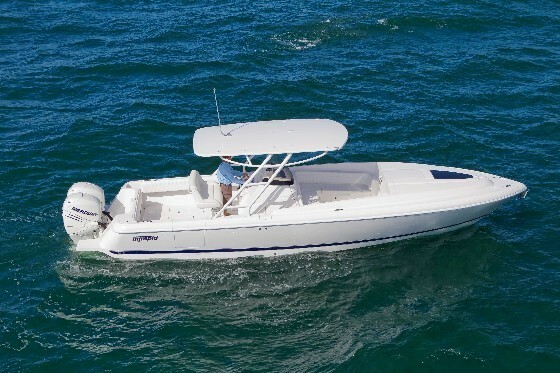 As these fishing, diving, and cruising features prove, the 327 Cuddy wasn't built for a single mission. It can do many things well. Yet if an owner wants to take the design in one direction, he can do so by working with the company. Intrepid is a semi-custom builder that’s always up for accommodating special requests. Would you prefer a half-tower instead of a hardtop? It's yours. 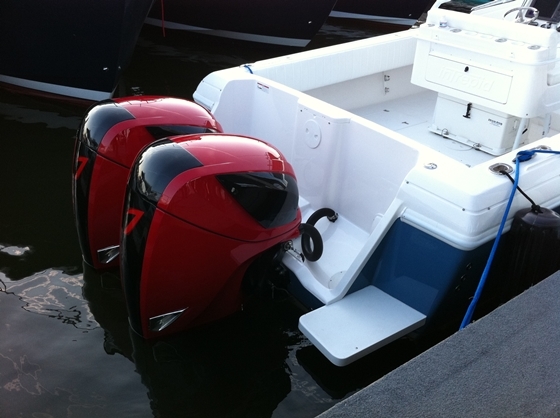 Did you want those Mercury Verado outboards painted white to match the hull? No worries. 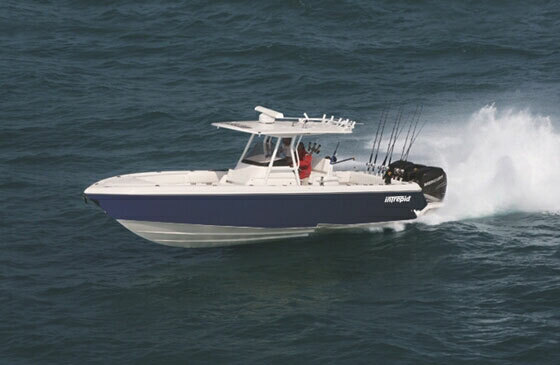 One customer even requested a gyro stabilizer for a 39-footer; Intrepid managed the installation by customizing the boat’s stringers to accept a Seakeeper system. That’s the type of thing this builder does to keep its owners satisfied. Now that we know those happy customers had their say in the development of this contemporary cuddy model, it seems safe to say the 327 offers an exciting edge over the competition. 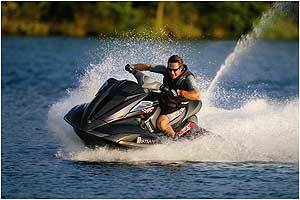 For more information, visit Intrepid Powerboats.